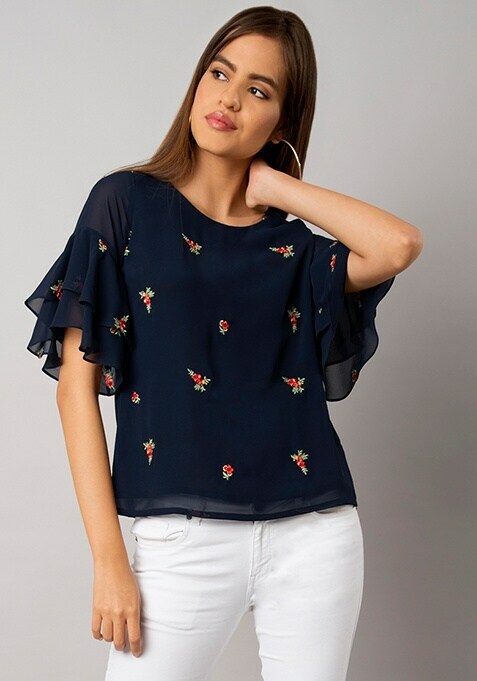 Stand out in a crowd of fashion forwards by wearing this gorgeous navy top featuring all over floral embroidery. This trendy top has bell sleeves and a criss cross back. Work it: Pair this beautiful top with shorts and smart footwear.